Pay no booking commissions from our apps and sites, your sites, social media, and Reserve with Google. Created and customised by you, ResDiary’s booking widgets are a great way to increase online business. 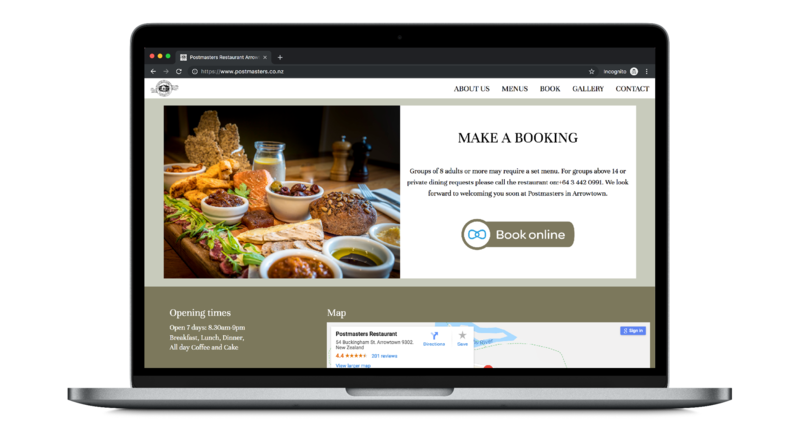 With a simple booking process, feeding directly into your smart table management system, our booking widgets are the perfect accompaniment to your website. 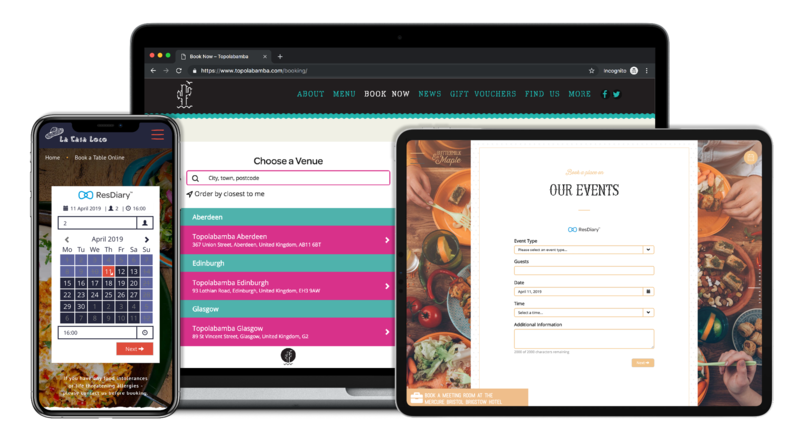 Whether it’s for online reservations, event enquiries, or building your database, we have you covered. All widgets are available, free of charge, with our ResDiary Pro, ResDiary Express, and ResDiary Ultimate packages. The ResDiary book button provides a straightforward reservation experience for you and your diners. Free of charge with all accounts, the book button can be customised to compliment your brand. Directing to your microsite on ResDiary.com it also helps maximise your bookings. Reach millions of new customers and see more commission free bookings, thanks to Reserve with Google. This service allows guests to book a table at your venue from Google Search or Google Maps. The benefits to your business are endless, and it’s completely free with ResDiary. With most of your target customers being social media users, call-to-actions on the most-used platforms are important. 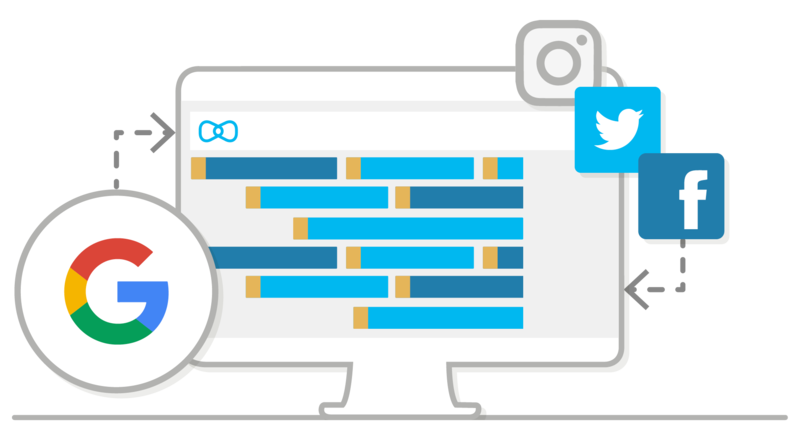 With ResDiary, you can take commission-free reservations through your social media channels and report on your success in the ResDiary system.